Cape Town – Fee-free higher education will cost government R57bn, and it is now the fastest growing expense, said Finance Minister Malusi Gigaba. Gigaba delivered the National Budget at Parliament on Wednesday, where he finally settled questions about the funding for fee-free education. In December at the ANC’s elective conference former president Jacob Zuma announced free higher education to poor and working class students from households with a combined annual income of R350 000. At the time there was wide speculation that Zuma made the decision without consulting Treasury. Gigaba had only said details would be revealed at Budget 2018, Fin24 reported. But on Wednesday, armed with more details, the minister spoke more confidently on the matter. 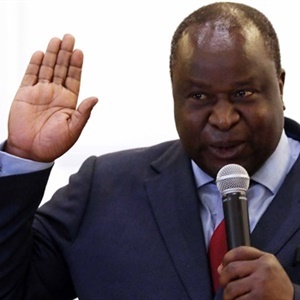 “Government is proud to implement a major step forward towards our ultimate goal of guaranteeing access to higher education and training for all South Africans who qualify on the base of merit, not class position,” he said. The R57bn is the largest reallocation of government’s resources. A total of R12.4bn will be allocated for 2018/19 and R10bn is allocated for the 2017 financial year, according to the budget review. Government is expected to spend R1.67tr in the 2018/19 fiscal year. Allocations to other departments have been reduced by R85.7bn over the medium term, according to the budget review. Government has had to adjust the spending plans for education to include fee-free higher education. Post-school education and training has been allocated more than R81bn for 2017/18. These are new first year students attending universities and TVET colleges from households with a combined income of R350 000. They will be funded for the full cost of their studies, said Gigaba. “This will be rolled out in subsequent years until all years if study are covered,” he said. Spend will grow at a rate of 13.7% per year. Returning students on the National Student Financial Aid Scheme (NSFAS) will have their loans converted to bursaries from 2018. “This is an important step forwards to breaking the cycle of poverty and confronting youth unemployment,” said Gigaba. 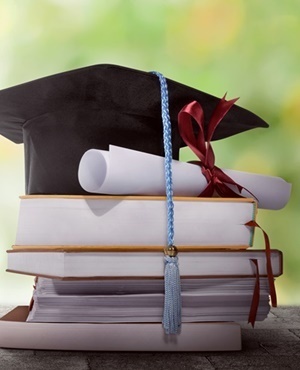 According to the quarterly labour force survey released by Stats SA for the fourth quarter revealed that unemployment is lowest for tertiary graduates. Bursary expenditure is expected to rise from R15.4bn in 2017/18 to R38bn in 2020/21. Additionally work-based opportunities mainly for TVET students are expected to increase from 130 000 in 2017/18 to 140 000 in 2020/21.